Brazil needs to calm down. Brazil’s players don’t merely sing the national anthem; they bellow it with a manic intensity I find slightly disturbing. After opening day of the tournament, many fans hailed the pre-match a capella performance as a moving example of the squad’s patriotic spirit. But in recent games, the emotional screaming has begun to seem indicative of a serious problem: Brazil’s inability to exert steady control over matches it should win. The size of David Luiz’s eyeballs dramatically increases as he passionately howls the anthem, but Luiz remains a sloppy defender prone to stupid mistakes. And if Luiz Gustavo continues to hack opposing players with the same enthusiasm he brings to each rendition of “Hino Nacional Brasileiro,” he will eventually get sent off. The team needs to relax. At the moment, it feels like only a matter of time before a Brazilian player high on nationalistic fervor tries to bite somebody. 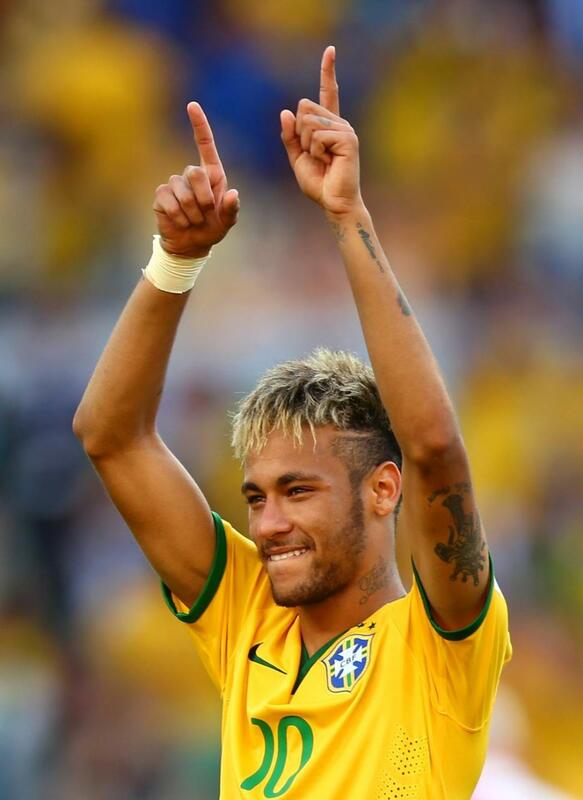 Neymar is a seriously cool customer. Unlike his teammates, Neymar seems completely immune to the manifold pressures associated with playing football in a stadium full of expectant Brazilians. If he’d missed his penalty and Chile had won the shootout, Neymar probably wouldn’t have made it out of Belo Horizonte with his head intact. And yet he was still confident enough to pause for some cool but unnecessary stutter steps in another ridiculous run-up. Marcelo Diaz likes to shoot. I have a confession to make: Until Saturday, I had never heard of Marcelo Diaz. I had never read an article explaining “why Marcelo Diaz is the real power behind Chile’s superstars” or seen a picture of Diaz holding a football boot as if it were a machine gun. Diaz has clearly achieved a lot. But having watched Chile-Brazil, I will always remember him as the guy who thought he could score a 45-yard free kick. Uruguay could have been fun to watch. Along with Honduras, Uruguay – dirty, defensive, heavily reliant on set pieces – is high on the list of teams most fans were glad to see eliminated from the tournament. It didn’t have to be this way. We all knew Luis Suarez would do something antisocial – although no one, save a few lucky gamblers, predicted he’d try to take a chunk out of another player’s shoulder. But if in its three previous matches Uruguay had played the way it did during the final 20 minutes of Saturday’s loss to Colombia (with Gaston Ramirez operating behind two strikers), the team might have won over a few neutrals. James Rodriguez deserves to have his name pronounced correctly. We’ll always remember this World Cup as the tournament at which British commentators suddenly learned how to pronounce foreign names. HA-mes Rodriguez has scored five goals in four games, making him one of the undisputed stars of the competition. More important, his firstname (yes, each exotic syllable) is written on the back of his jersey. How awesome is that?